Unless this is a new ipc scheme. Pay us £1k and we will list you as suspended for a while. I'm assuming that DVLA have been told about the suspension! My thoughts exactly. For "will not be able", I read "SHOULD not be able". The IPC would be required to inform the DVLA if they suspend a member - it would be in their MOU. I hope it hits them financialy HARD! Hasbeen soon to be a hasbeen? Are you sure about this? The notice says 01/10/2015 and the last time I looked at my calendar it said 2016. Obviously, if true I can return to Homebase ( a much improved business since their takeover) at Hathaway Park, Chippenham. can't have been bad boys, so I guess they forgot to pay the IPC's charges or similar? 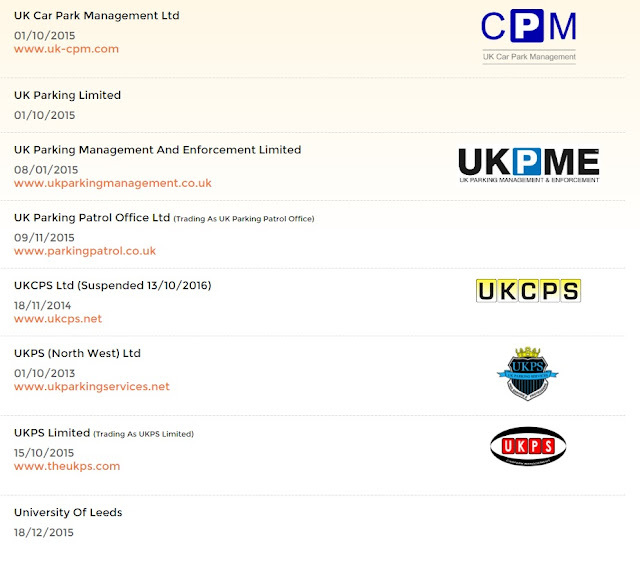 I can confirm that on the 13th October 2016, DVLA were made aware that UKCPS’ Accredited Operator Scheme membership had been suspended. Therefore they would be unable to access DVLA vehicle keeper data until membership is regained. I hope this information helps to answer your query. This is strange, because I have a letter dated 24th October saying they are "accredited AOS operators". The same letter directs me to the IAS website for formal appeal, but when the PCN details aren't recognised there. Assuming I can disregard this now..
That's strange, because I got a letter on 24th October saying they were accredited AOS operators. The same letter refers me to the IAS but the PCN details don't work there. So I guess I can disregard this now..
Hi, I have just received a notice to keeper for an alleged parking misdemeanour on 8th Jan 2017. UKCPS got my details from DVLC. How is that possible when they have been suspended/inactive whatever? Any advice appreciated.